Easy whole seed spice mix, which needs no grinding. Used as a flavour base in Indian cooking, where it is added to hot oil to release the aromatic flavours. 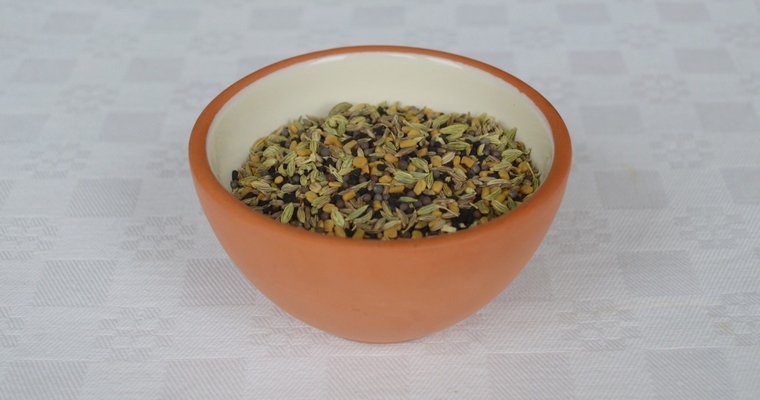 Panch Phoron is a blend of five seeds that are left whole, rather than being ground down into a powder like most spice mixes. The mix is usually fried in oil at the start of cooking to release the flavours into the oil, and goes particularly well with vegetables and fish. It can also be used for pickling, where it is best to toast the seeds for 1-2 minutes in a dry frying pan over a medium heat. Combine all the ingredients into a clean and dry jam jar / airtight container. Seal, and give the jar a good shake until all the spices are evenly mixed. Store in a cool, dark cupboard. Use within a month for full potency.